Connect equipment and factories, leveraging data from the factory floor to the customer call center to improve every aspect of your manufacturing operations. What is GP + Manufacturing? Our vision for supporting digital manufacturing embraces the seismic shifts in the industry today, offering solutions that provide a unified and flexible approach across the office and production floor processes. Manage your cash, assets, budgets, and banking with built-in analytics and account-level security. Empower accounting departments of any size to start tracking enterprise wide data using Generally Accepted Accounting Principles (GAAP). Extend the experience and functionality of Dynamics GP with auxiliary apps and services provided by Bond Consulting Services. 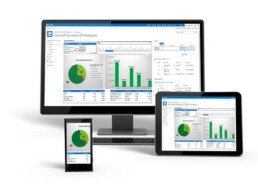 Extend Dynamics GP with Microsoft's Manufacturing module to meet your process or discrete manufacturing needs. Horizons Mixed Mode Manufacturing Suite integrated with DynamicsGP provides support for discrete, one-at-a-time and batch, many-at-a-time functionality in a single software solution. Vicinity’s unique roles-based architecture improves visibility and decision making across your entire operation and provides quick integration with Dynamics GP.